This 5-day Course is specifically designed for therapists working with adult stroke patients. As a prerequisite to attending this course, participants must have completed a Neuro-Dynamic Therapy Certification course or a Neuro-IFRAH® certification course. This course consists of lecture and intensive lab sessions. Lab sessions will focus on development of advanced patients handling skills through working with other participants and actual patient treatment by participants. Lecture and Lab session are complemented by visual aids demonstrating the application of concepts and techniques provided in a clinical setting. Patient demonstration and individual attention by the instructor to participants during patient treatment session will be provided to enhance the participants handling and problem solving skills. This course meets one week of 6-weeks requirement for the Neuro-IFRAH Specialist® program. 1. Identify the Neuro-IFRAH Approach Framework and handling guidelines as related to facilitation of upper extremity function. 2. Identify concepts related to facilitation of fine motor skills improving hand alignment and decreasing or preventing hand impairments and functional limitations. 3. 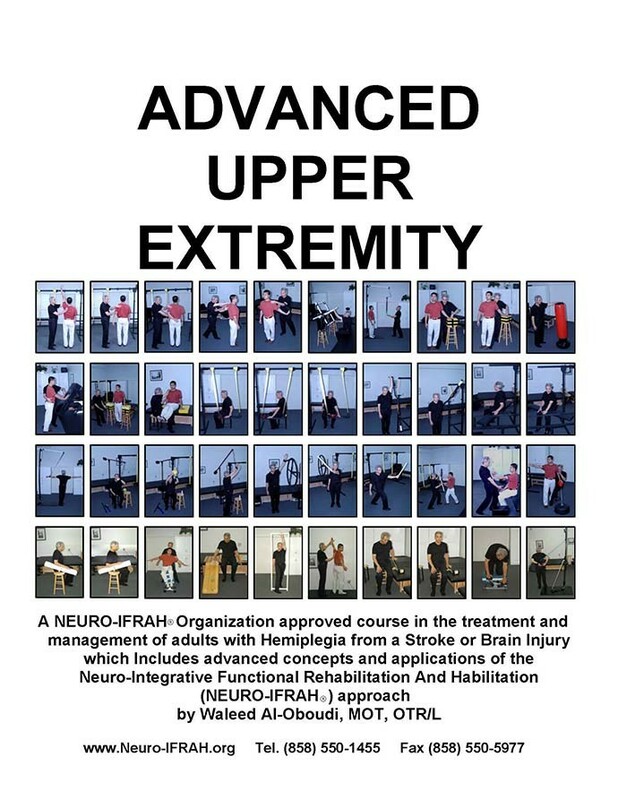 Identify concepts related facilitation of upper extremity use/function for support, manipulation, balance, expressions, sensory and functional tools, emotional release, comfort, containment, protection and propulsion. 4. Identify concepts related to facilitation of upper extremity control in the development of reach in all directions improving shoulder alignment and decreasing or preventing shoulder impairments and functional limitations. 5. Demonstrate effective application of handling techniques in realignment of the scapula and facilitation of scapula control in coordination with trunk and upper extremity movements. 6. Apply handling techniques to facilitate upper extremity function in coordination with the whole body. 7. Apply handling technique to facilitate upper extremity function in control of posture, transitional movement, and functional activities in postures. 8. Identify concepts related to the restoration of upper extremity automaticity and carryover in functional use during ADL’s and other functional activities. Upon successful completion of the course, participants will be Neuro-IFRAH Advanced Trained®.